There comes a point in life when you start searching high and low for a product to stop aging. No, I have not come across a product that stops aging yet, I wish I will find it soon and don't worry I will share! But I have found certain methods to slow down the skin's aging process! I consider my beauty regime a simple one, yes with mask and all around 30 mins. Fast right? I never forget my serums, I swear by them. I don't use much creams and I use moisturiser only on and off because I don't really like the consistency of creams. I use many many kinds of serums and Ampoules. I am considered rather lucky in the skin department to be honest, scars don’t stay for long. Being lucky, means that I will have to take extra care of it now that my 34th birthday just passed 🙄 All these years, after all the products I use all the aesthetics I've invested on and invested upon I have to tell you this, the key to good skin is cleaning the skin! It doesn't matter if you don't put on makeup, you still have to clean your skin thoroughly at the end of the day. It's a must, and while cleaning with bare hands is what most of us do but do you know that cleaning with your bare hands is just not enough? Our hands cannot clean properly if compared to a brushing device. Yes, most device cost a bomb! Well ladies, I found one that doesn't and before you invest in all those expensive serums and ampules that promises a miracle? Please invest in this! You will thank me! I am please to introduce to you the Nion Beauty's Opus Express! have antibacterial properties that make maintaining your products a breeze and The products from Nion Beauty can last approximately 10 years. 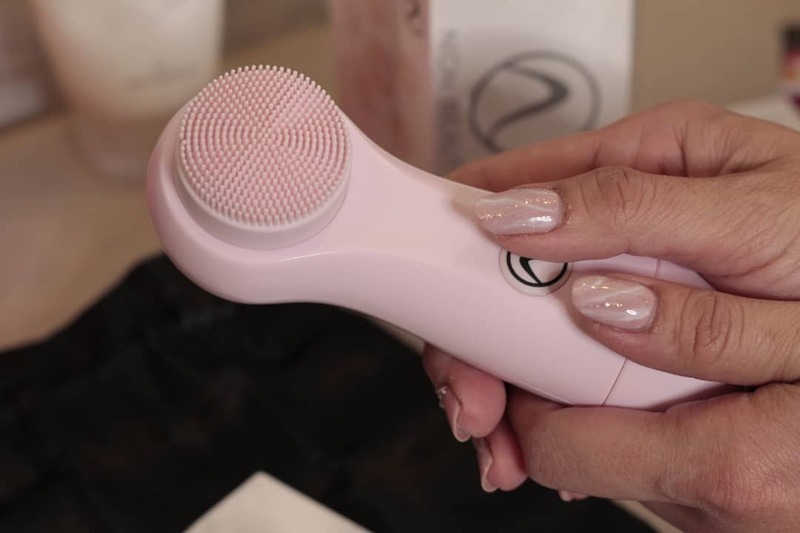 All the cleansing devices from Nion Beauty features their signature S-ion technology which purifies the skin and boosts blood circulation. Most cleansing devices use friction which can be harmful whereas Nion Beauty uses a Kinetic Skin Cleansing system. 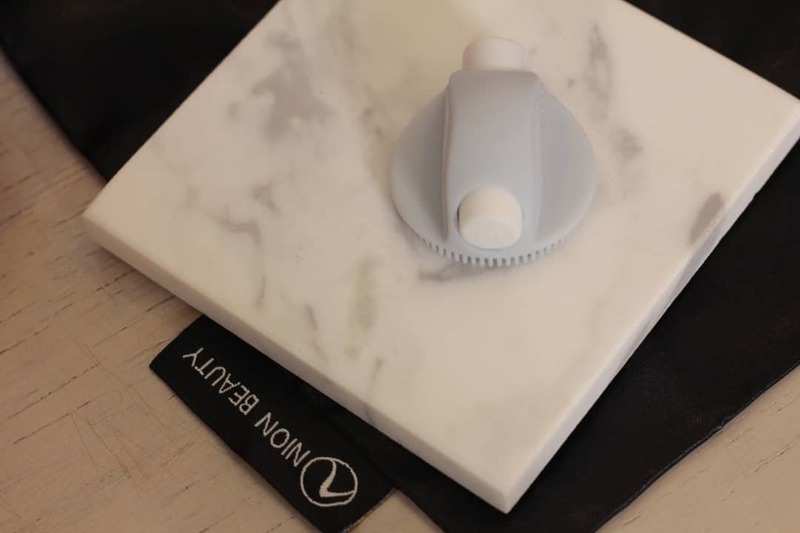 This system uses vibrations to loosen the dirt without stripping away naturally occurring oils. It feels ticklish on the skin at first but once you get use to it, feels like a massage. Once you clean your face thoroughly, all your expensive serums,Ampoules, lotion, and creams will absorb better thus giving you better complexion. It's not that hard to understand the theory of this and it Make sense right? How to Use the Nion Beauty Opus Express? 5. Care: Care for your Opus device by rinsing with warm water and let air dry. Use mild soap if necessary. Are you a jet-setter? Well then this is made for you. Small, compact, lightweight but packed with all the greatness! The Opus 2Go is a disposable silicone facial brush is packed full of features, however the Opus 2Go has only 1 speed. This handy Opus 2Go, goes where you go. Great skin while you travel, now you don't have anymore excuses. The Opus 2Go comes in a pack of 3 and each can last up to 20 days, after that you dispose them. 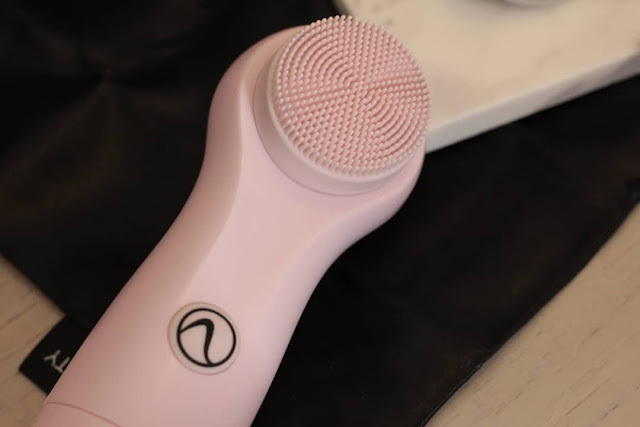 Where can you get the Nion Beauty devices? Here’s a list! I can’t wait to get my hands on the Opus Renew which is a treatment for dark circles, you know how much I dislike mine. The Opus Renew is supercharged with negative ions which increases blood flow to treat dark circles, scars, and imperfections and its only RM64.90 for a 3 patch pack. Now, I challenge you to go and google more reviews about this. The product literally speaks for itself and has receive only positive feedback thus far. But before you go, here’s a video I did! Check it out !